Jim Wells is founder and President of Atlanta Plan Source, Inc. and Home Plan Options. He is a Professional member of The American Institute of Building Design. His diverse background includes residential design, construction, publishing, marketing, video production and graphic design. Founded in 1987, Atlanta Plan Source, Inc. initially served as a publishing and marketing firm, representing many of the nation's leading designers. As the business grew, new plans were added to the collection and additional services were offered. Now, a full service design firm, Atlanta Plan Source, Inc. offers a large collection of stock home plans, material lists, plan revisions, and custom home design using 3D CAD. 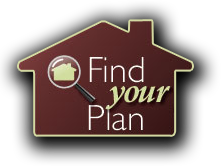 In 2001, technological advances enabled the creation of Home Plan Options. This web site allows pre-designed house plans to be modified online by the consumer. With thousands of home plans having been delivered and built across the United States and around the world, Atlanta Plan Source, Inc. and Home Plan Options continually strive to provide unsurpassed service, innovative designs, and quality home plans.